Using video has significantly shortened the duration of face-to-face interviews. Nowadays a substitute teacher's position is very wanted one. As soon as a position opens, within a few days the recruiter has a large pile of applications in front of him. The recruiting process to follow is usually a time-consuming and arduous one. How to choose the best candidate from hundreds of applicants? 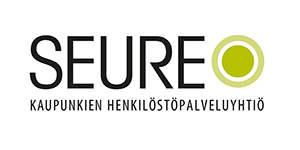 Seure was recruiting substitute teachers in Helsinki area and the open position was posted to Seure's web page. In just three days 129 applications were received, but this time the recruiter was facing a different recruiting process – Seure had decided to conduct the process using video interviewing. "Recruiting substitute teachers is a large task. Usually we receive over 200 applications" describes Seure's recruiting consultant Katja Salvisto. "Our goal was to improve our consultants' use of time and enhance our face-to-face interviews. And we succeeded in this, you will get a good impression of the candidate's education, experience and persona when using video as a recruiting method" Salvisto continues. Besides social skills, teacher is required to be comfortable when speaking in public. In teacher's job, you constantly interact with people and therefore your attitude and persona are important factors, even early in the recruitment process. "Using video interviews supported the recruiting process as a whole very well. We had very good candidates, and video helped us to get a better impression of them early in the process. When we invited the best candidates for personal interviews, we were able to go to "in-depth" discussions very quickly. There was no need to dig up their personas anymore, instead we were able to focus on more practical things – such as candidate's preferences on the location and subjects they want to teach and so on. This helped us to reach our goal – our consultants' use of time was enhanced and became more sensible"
Seure had used video interviewing previously when recruiting special needs assistants, and also when recruiting for cleaning – and kitchen workers with an open video application. Salvisto sees video interviewing working especially well when recruiting for temporary positions. When the position is temporary, there's usually not much time for briefing, and therefore the candidate is required to have courage, verbal skills, and an outgoing personality. "For a temporary worker tasks are very demanding, so active and outgoing personality is a requirement. Our task becomes much easier, when we can get an impression of the candidate early in the recruitment process" Salvisto ends.